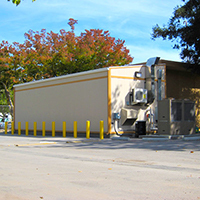 Germfree Environmental Labs specializes in the design and manufacture of modular and mobile analytical labs. These laboratories serve environmental assessment and monitoring operations as well as analytical testing for mining, petroleum, industrial and specialty applications. Our facilities provide new lab space, added capabilities or extra capacity in a dramatically reduced construction timeline. Germfree is recognized as the global leader in advanced modular and mobile high containment laboratories. We bring this engineering and manufacturing expertise to our line of environmental and analytical laboratories. Germfree Environmental Labs manufactures units that are deployed worldwide and are designed to operate in locations ranging from industrial complexes to harsh remote environments. Advanced testing capabilities are a fundamental component of most industries. Properly engineered laboratories provide an essential platform for required process testing and acquisition of data. These facilities are critical for: Product and Materials Safety Testing, R&D, Quality Control (QA/QC) and Pilot Testing Programs. Germfree provides advanced laboratories for the chemical manufacturing and distribution sectors. These applications may include chemical testing and contamination analysis as well as environmental monitoring and testing. Our labs also play a key role in within the energy sectors. 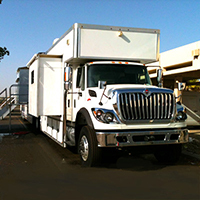 Germfree manufactures advanced modular and mobile laboratories to serve the rigorous technical demands of oil and gas exploration and production services. 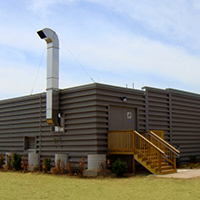 Our modular facilities provide new lab space, added capabilities or extra capacity in a dramatically reduced construction timeline. Our Environmental Labs are essential to consultants, program managers, regulators, health & safety professionals and research teams. Our units provide new lab space, added capabilities or extra capacity in a dramatically reduced timeline. 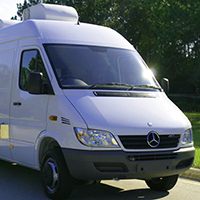 Germfree provides Mobile and Modular laboratories that can be deployed and quickly set up wherever they are needed. 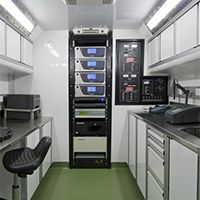 We are recognized as the global leader in advanced mobile and modular high containment labs with facilities in operation worldwide. We now offer these advanced units with a variety of rental and leasing options. Reliable laboratory space can be readily deployed to meet your immediate demands.